What does true matter consist of? What is the real component of matter? And don’t get microscopic on me, because who’s to say the stuff you can see under a microscope is really what’s there? You rely on your sensory experience. But how can you be assured of anything, anything except the contents of your own mind at the present moment? Maybe you just popped into existence a few seconds ago, complete with memories, knowledge and theories. Surely I couldn’t dream all this up myself, you say. Well, prove you didn’t. And don’t try using your senses to do that. That would be working upon the very assumption you’re attempting to prove. Total nonsense! Atoms, again. It’s logical, you say. Logical, eh? And tell me exactly why the things you observe correspond to your own ideas of theoretical explanations for those very observations. I won’t ask you to prove it. Numbers are abstract. And if you held up one finger on one hand and one on the other, and counted two, I’d ask you how you knew your fingers existed, how you knew you were holding up two of them. Everyone in their sane mind agrees. Not because they see it, but because it’s the assumption they must make in order to believe in every mathematical process in ‘existence’. Maths is there. You can’t prove it, but it doesn’t go away. It always has been, and always will be. We say 1 + 1 = 2, and if we didn’t, everything we’d built upon that one assumption would fall through. God is an axiom, should you choose to believe it. I am a mathematician. I build my future on earth upon 1 + 1 = 2, and my future in Heaven upon my belief in God. People give me funny looks when I mention it, but I honestly enjoy the feeling of mild pain. Not pain like breaking your elbow, which excludes everything around you except that one huge frightening hurt. Just a small discomfort, such as a throbbing vein, or a paper-cut between two fingers, or a bruised muscle—something you know can’t harm you, but nags you all the same. It’s often intrigued me why I should feel this way. I used to think it encouraged me to think stoically, as my father always taught me (definition 2, as below). But even though he suffers hay fever, he claims he doesn’t believe in allergies. He disbelieves in his own condition. 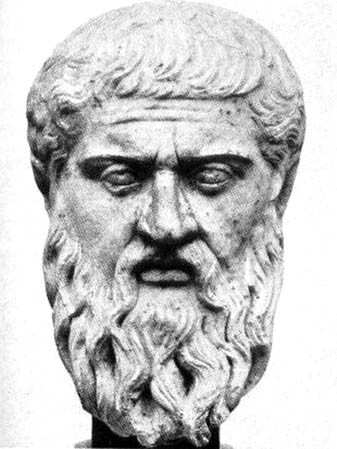 1. a systematic philosophy, dating from around 300 BC, that held the principles of logical thought to reflect a cosmic reason instantiated in nature. 2. (lowercase) conduct conforming to the precepts of the Stoics, as repression of emotion and indifference to pleasure or pain. Another thought was that I’m a sensation-seeker. Not an attention-seeker in the sense that I constantly desire notice (though possible I do, that, too), but someone who would ‘love’ to be the creator of a grand drama with shocking results. Just out of interest for the effects (though in truth, effects of any sort would threaten my security, and ultimately I never end up doing anything that could endanger my comfort). But what I’ve hit upon lately, due to my interest for MBTI, is that perhaps pain gives me the physical awareness I don’t naturally have. Just last week, it was half past seven in the evening before I’d realised I’d had nothing to eat since the previous day. I’d been alone for over twelve hours, so no one had forced me to eat, as they usually would. The thought of food just hadn’t crossed my mind. I get lost in the sensation, and practical remedy doesn’t occur to me. But the hunger was there, goading me, spurring me on to a greater and more productive day than I might have spent. It provides a link to the real world: the permission to go off into my fantasy. It says, “your body hurts, but you can deal with it!”, to return to the idea of self-denial often associated with Stoicism. But it’s not even the defiance in the face of pain that I like(! ), but the connection it gives me to my body. It harnesses me where it might be dangerous to give full reign to my imagination. Yet in the partial ignoring of the sensation, my imagination feels as if it has been declared ruler. It has not, for corporeal awareness shackles it to reality, but…well, does anyone understand? Plato. Creepy guy, ‘en’t ‘e? Food and sleep: if we had neither, there would be so much time and freedom to follow our dreams and fulfil our desires. But what are we without our bodies? For someone who would live exclusively in the realm of souls (not to imply that Plato has won my heart, despite how I came up with a similar dualistic theory when I was seven), this is quite a concession. But I would not be without my body. In The Matrix, the mind cannot live without the body, nor the body without the mind. No, I am for balance and connection, for harmony; though in my world, physicality strives for precedence against imagination, and vice versa. The mutual struggle is what keeps me safe, what keeps me breathing. Neo awakes from The Matrix and discovers that while his mind has been living a computer-simulated life, his body has remained in this capsule producing energy to run the computers which took over the world several centuries ago. Body and mind, Catholics say. The soul goes immediately to Heaven; but on the Last Day, the Judgement Day, we profess every week in our Creed, the body will be resurrected, too, and, reunited with the soul, the whole will be judged for the last time: Heaven or Hell for all eternity. We can elude neither part of us, to whatever extent we can use either or link them both. To sum up, being a writer and an INFJ, who lives so much in the subconscious mind she has difficulty in communicating not only to others, but to her own consciousness, I’d gladly give up my body and live solely in the spirit. But since that is impossible, in this world, which is my own till death takes it from me, I must have some link to my own physicality that keeps me aware of the changes of day to night, and enough in the present world to keep my body functioning sufficiently to allow my subconscious mind to work to best effect. Yesterday we sold our house. Let me begin from the beginning. In September 2011 we finally paid off our mortgage (when I say ‘we’, I mean my dad). By March 2012 our house was on the market. My family had lived there twenty years. Last August we moved. It was quite an uprootal, I’ll admit, but the change of scenery brought my general mood out of the shade, so I’m grateful for that. Anyway, for the past seventeen months we’ve been trying to sell our house in a floundering market. No movement anywhere. Plenty of viewings, but nothing consequential. An exceptionally bad time to be an estate agent, round here. Value may have dropped twenty percent in the past year, but no one has even the eighty percent which our house should’ve been worth. Calamity all round, basically. In order to hold two properties at the same time we used a bridging loan. High interest. High stakes if we couldn’t sell at a reasonable price. Due to monetary concerns we dithered too long on the house we really wanted, so when that was nabbed from under our noses we had to seize choice two. And then the market deteriorated and there’s been virtually no movement for months. How on earth did we sell our house, then, in such a situation? That, my friend, is down to a prayer. Last week we got an offer. Which is amazing. But it was £60,000 down on what our house had been valued at (houses cost about three times more where I live than they do in most parts of the UK), and it wouldn’t even pay off the loan we took out (never mind the mortgage!). The next morning the people who’d put in the offer lowered it by another £15,000. The bank had withdrawn its original loan, due to the awfulness of the market. But we thought we might have to take it if we ever wanted to sell the house. We wanted the family to have it… A young couple with a small boy and another one on the way. Loved our house seven months ago and haven’t had another viewing since. And the boy liked the mirrors. Under the lowest bookshelf in the old playroom. My brother used to line up his matchbox cars and look at them in the mirror. You can just about see the mirrors under the lowest shelf, I think? And don’t trust these lying cameras. This room is SMALL. Then my mother found a ‘Novena to St Joseph for Selling One’s House’. A Novena is a nine-day prayer course, in which you follow a given prayer format, pray a few Our Fathers and Hail Maries and Glory Bes, and leave it to God. St Joseph is the saint to which our church is dedicated, and a Novena for selling a house addressed to St Joseph seemed just exactly what we needed. For the past six days my mother, brother and I have been performing the Novena. It only takes five minutes or so–seems almost too easy, and my mum doesn’t like it because she thinks it’s like making a bargain with God. A direct prayer directly answered. She thought she sounded greedy the first time, asking for more money, but I told her we weren’t the ones to judge whether we were greedy or not. Evidently, says God, we never meant our plea out of greed. My old writing base in the very far corner. Fond memories…of other people reading over my shoulder. I got paranoid. Two hours later we got a call to say the buyer’s bank had upped its offer again, and my parents accepted. Of course, it may fall through before long; but after so much trouble, it can’t be a mere coincidence. If God didn’t lever that offer to the satisfaction of all, I’ll eat my birthday presents (not merely the edible ones). The ‘new house’. Feels like a new start all over again. All this means I have to share my birthday celebration with a house sale. And do you know, I can’t think of anything better! I just received a letter from myself. I just received a letter from myself! At the end of September last year I attended Celebrate, a Catholic conference held in various places about the country every year. It was one of the best decisions of my life. The previous March my wonderful youth group went to Flame, a massive Catholic youth event in Wembley Arena. It was incredible! The singing and dancing…miraculous testimonies…God and the Olympics…drama, a glee flash mob, appearances from David Wells, Jason Gardener and Fr Timothy Radcliffe, among many others…and the silence! I’ll bet Wembley has never before seen eight thousand teenage Catholics joined in silent prayer. I’ll never forget the comment Alex posted on my Protagonize profile two days after the event: ‘…the sign. ‘8000+ people; who have you met before?’ Me: umm…this looks like nobody. In retrospect: Bazzzz! !’ (Baz being another of my internet names.) She was sitting in the block behind mine. No; we didn’t run into one another—heck, we’d only met over the internet!—but the marvel is there. We were so pumped after this experience (though the hotel in which we stayed in Piccadilly was recently closed down for its atrocious quality!) my youth group determined we’d go away together more often. The epic praise-song sing-along! And this photo was taken from halfway down the arena! So in September last year we went to Celebrate. And that was completely different. Kind of like a summer school sort of thing, because we overran the top floor of a school building and did all sorts of awesome things linked to God, and had Mass both days, but we actually got to talk to the other people there. It was much smaller than Flame—only twenty or thirty people in our age-group (Years7-10). Yes; I was too old for it, but the two girls I’m most friendly with in my youth group are younger than me (though rather more spiritually mature, I might add!). So I made some wonderful and gorgeous friends, Catholics like myself, who go to Celebrate every year and only meet one another then. So strange—but so lovely! One of the activities we did there was writing letters to ourselves, which they promised to send us sometime in the next year. I’m not sure how seriously I took it; I don’t even remember writing the letter, not to mention expecting it back. But this morning I received two letters. One a birthday card…and the other an envelope addressed to me in a green felt-tip pen, in my own handwriting! I wondered if I’d sent one of my cousins an envelope with my address on it. But when I ripped the back off and slid out the letter, that, too, was penned in the green felt-tip, and in my writing. Eesh, I thought, this person is good at imitation. ‘Dear Lillie’, it began, and so I read. The flyer for this year. It was my work without a doubt. The phrasing, the imagery…and the letter-writer knew things about me that I’ve never dared tell anyone. I mean the writing was flowery and awful, but still. I expect I scribbled whatever first came to mind and just shoved it in the envelope as soon as I’d signed it ‘Yourself’ at the bottom. I won’t give you any more; the letter is, after all, addressed to me, and is accordingly very personal. But how can I express what this means to me? Was I wiser last September than I am now, to write such things that would help me in months to come? I may claim I’ve existed in the same way these past three years, but there’s no doubt I’ve changed. We’re constantly processing fresh and powerful emotions, and as we do we forget the old mantras. There are some which may stay with me forever; others fade. As me ten months ago tells me now, ‘old wounds don’t hurt forever’. Since I’ve no experience of forever, I can’t vouch for that, but to be sure, some things grow less as we learn to forgive those who perpetrated them—myself included. My letter tells me to forgive myself. And today, that’s what I’m going to do.